Dorothy Edith Gilman was born in New Brunswick, NJ, the daughter of James Bruce, a minister, and Essa (Starkweather) Gilman, and said she decided on a writing career as a child. She attended university as well as fine art schools and became an art teacher and an instructor in creative writing. In 1945, she married Edgar Butters, Jr., a teacher; the couple had two children before divorcing in 1965. Under her married name, Dorothy Gilman Butters, she began publishing children’s books in the late 1940s. The New York Times said in her obituary: "[Her] best-known heroine, Mrs. Pollifax, is very likely the only spy in literature to belong simultaneously to the Central Intelligence Agency and the local garden club." The Unexpected Mrs. Pollifax (1966) was the first novel in what would become a highly popular 14-book series about Mrs. Emily Pollifax, a bored 60-something retired grandmother in search of a bit of adventure in an otherwise mundane life. 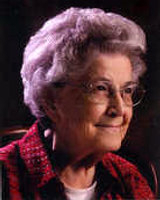 Dorothy Gilman is currently considered a "single author." If one or more works are by a distinct, homonymous authors, go ahead and split the author. Dorothy Gilman is composed of 12 names. You can examine and separate out names.